A few days ago we talked about the results he had obtained the Galaxy Samsung S3 in the performance tests or benchmarks that evaluated the performance of their processor. This time, the new flagship of the Korean company Samsung has been scrutinized in the section of the battery, one of their most fundamental, given that the leading manufacturers of smart phones have not yet installed on the best devices that allow a battery to extend the operation of the device, beyond a few hours, which is what happens now. For this reason, is especially relevant today look at the evidence made ​​by the GSM Arena team half a test unit of the Samsung Galaxy S3. Would you like to know how to render the new flagship of Samsung in the section of the battery? If you've taken a look at the specifications of the Samsung Galaxy S3, you know the device has a lithium ion battery with a capacity of 2,100 milliamps, far superior to that of the previous battery housed in the Samsung S2 Galaxy . In this case, apart from the battery (which is quite different from above) should be borne in mind that the Galaxy S3 incorporates high-level performance. 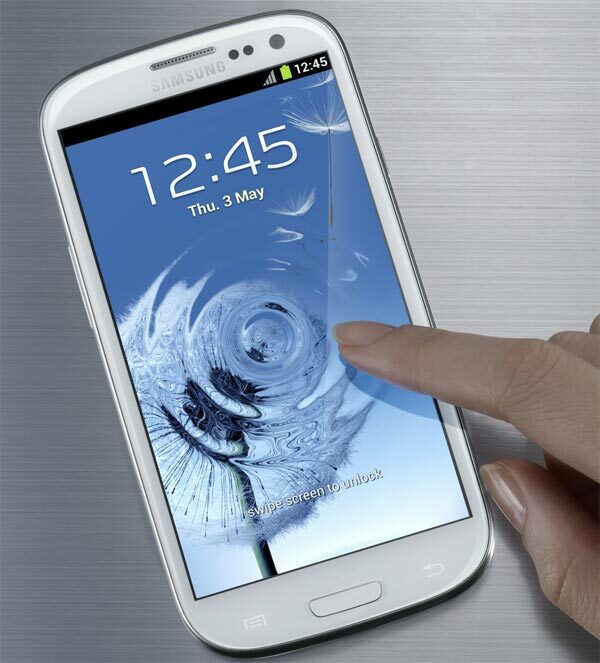 We refer, of course, Exynos 4 Quad processor Quad-Core and Super AMOLED screen 4.8 inch HD. These are two very important components that can consume large blocks of battery, so without conducting performance tests, many suspected that the 2,100 milliamps would not be enough to improve the old mark of the previous battery. However, it seems that the tests have pointed to the contrary, since the final results would be really relevant. Well, as commented, the guys at GSM Arena have managed to keep afloat the Galaxy Samsung S3 battery for ten long hours of phone conversation. The same happened when playing videos, surpassing even the performance of the new iPhone or Asus Prime Transformer. Also been tested for information about the endurance of the device when surfing the Internet. This time, the results have not been as relevant as other devices like the iPhone 4S, Radar HTC or Motorola RAZR Maxx DROID have been able to overcome the brand of Samsung Galaxy S3. In this regard, contrast the seven hours of use with the latter supporting the five hours that registered the terminal Samsung. The final results, however, seem quite definitive, since all tests have been victorious, except the latter. Keep in mind also that this is a test unit, one that sends the brand to operators and other distributors to review their performance before putting it on sale. We look forward to examine the performance of the device once we have it in our hands, since the Galaxy Samsung S3 will go on sale in Spain on May 29th.